Brian Boyle is the CSIRO Square Kilometre Array Director. He was elected fellow of the Australian Academy of Science in 2006 and awarded in 2007 the Gruber Prize in Cosmology. If you know more about Brian Boyle and you want to contribute, please contact us. 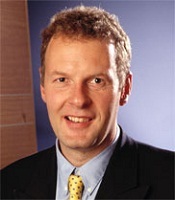 Professor Brian Boyle is CSIRO SKA Director.